DAVID LE/Staff photo. 2/26/15. 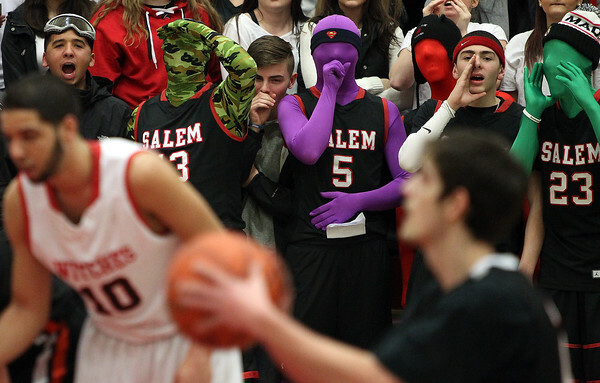 The Salem fan section taunts Woburn's Andrew Claflin as he takes a free throw during the second half of play.